For over thirty years, the University of Portland has offered the master of education (MEd) in educational leadership and the school administrator licensure programs on Guam. This partnership traces its origins back to UP alumni who had returned to their native Guam to teach in K-12 schools. Programming began in the 1980's with the common goal to bridge our Portland campus with the Guam educational community to serve students and families. 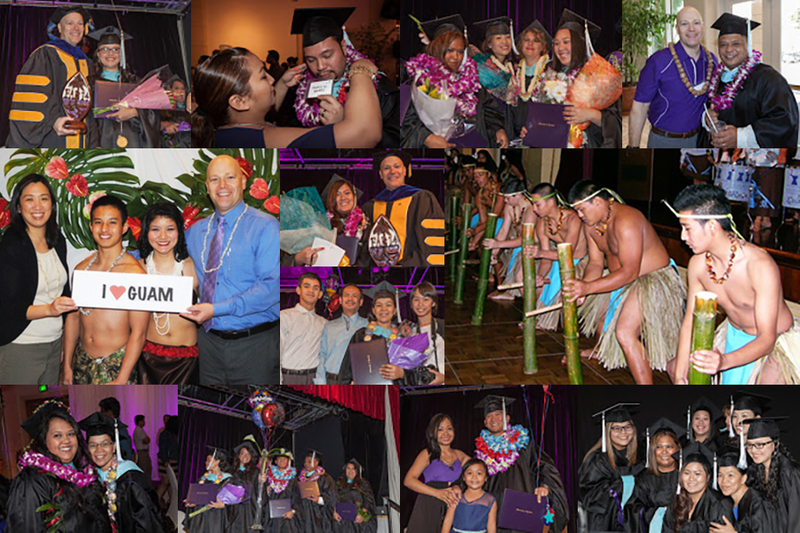 An established network of alumni on Guam — over 500 teachers and administrators on Guam have received their MEd from the University of Portland. A cohort-based format — creates a unique opportunity to share the academic experience with a group of professional peers as a learning community. Classes taught by top-tier faculty — a distinguished and diverse group of specialists in K-12 education travel to Guam from University of Portland to deliver MEd courses with an emphasis on educational leadership. Class meetings held on weekends and during after-school hours on weekdays to accommodate the schedule of working teachers. Weekday Guam courses are scheduled from 4:00 p.m. to 8:00 p.m.
Each course is delivered in two intensive blocks per semester, separated by three to four weeks. The blocks include Thursday and Friday evening, all day Saturday, and Monday and Tuesday evening. Participants are eligible to apply for federal financial aid. We hope you will consider enrolling in these cohort programs. For program information, admission requirements, and upcoming informational sessions in your area, please send an email to Maridel Perez, Guam Site Coordinator, at perezm@up.edu. The MEd in educational leadership is designed for licensed teachers with a focus on advanced instructional practices for teacher-leaders. The program features a sequence of courses and field experiences which focus on student learning and development, pedagogical knowledge, understanding cultural diversity and special needs, the use of technological skills, integration of foundational theory with practice, a strong emphasis on reflection and inquiry, educational research, and a capstone research project. The program is offered to a cohort of about 25 students over a period of 2 years (6 consecutive semesters). It is accredited by the Guam Commission on Teacher Education (GCTE) and the National Council on Accreditation of Teacher Education (NCATE). The next MEd in Educational Leadership Guam cohort is projected begin in Spring (January) 2019! Applications are currently being accepted and are due by October 1, 2018. Please see the Graduate School's Application Requirements webpage for details about the application requirements. Questions about the application process can be directed to Anne Rasmussen at rasmusse@up.edu or 503.943.8257. The school administrator licensure program prepares University of Portland MEd alumni on Guam to lead K-12 schools. The program curriculum provides teachers the necessary experiences and skills to step into administrative leadership roles, addressing the strategic, academic, and management needs of contemporary schools. The program includes courses that will challenge students and set them on the path towards service and leadership to the Guam community. The program is accredited by the Guam Commission on Teacher Education (GCTE) and the National Council on Accreditation of Teacher Education (NCATE). Note: The School of Education is not currently recruiting students for this program. Program participants are eligible to apply for federal financial aid. For a listing of tuition packages and available scholarships, see Graduate Tuition Rates and Scholarships.